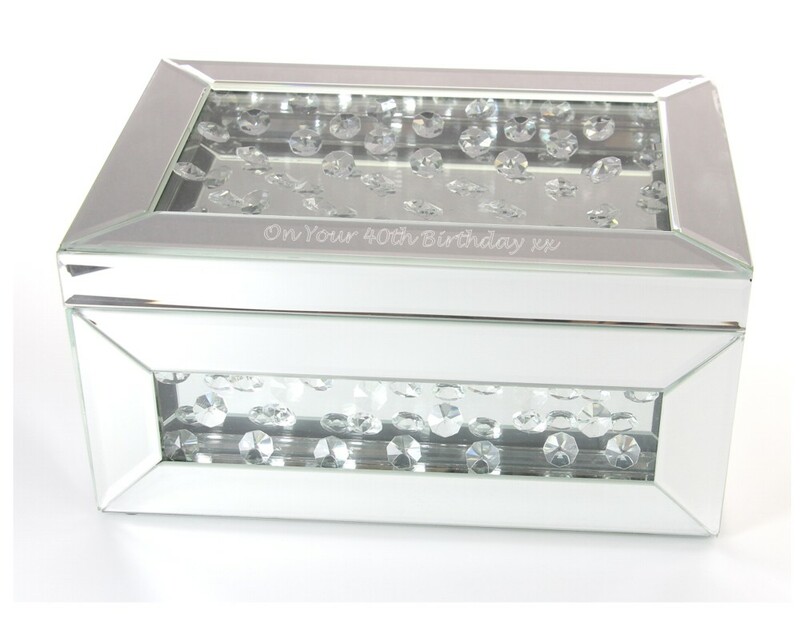 Personalised Engraved Crystal Design Large Rectangle Jewellery Box. The lid of the box is hinged and has a black velvet lining with 3 compartments, 1 section includes ring cushions. It measures 270mm x 185mm x 130mm and will be engraved on the glass lid above and/or below the crystal area. 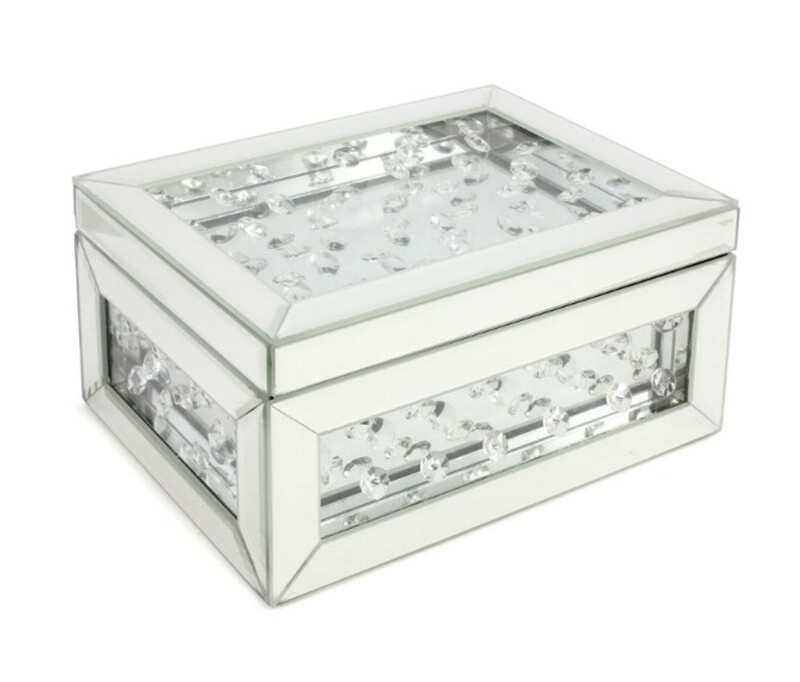 Fully mirrored finish with bevelled edges, a stunning, unique heavy jewellery box.